Freezing herbs is a good alternative to drying them. Suspending leaves and flowers into ice cubes captures flavor and fragrance as well as the healing qualities of the plants. Harvest plants (most varieties you will simply cut the whole stem) shake off bugs and dirt, and then rinse in cool water. Gently pat dry. Remove whole leaves from the stiff stems. Put approximately 1 teaspoon or 1 fresh herb leaf (or more if they are small) into each square of an ice-cube tray and fill with water. When frozen, pop the cubes out and store them in freezer bags. 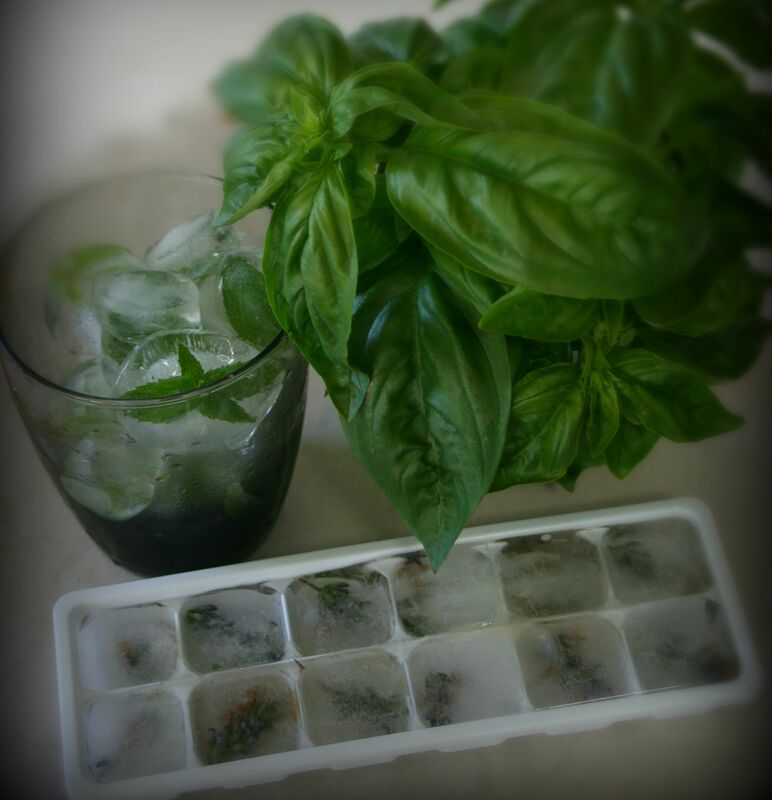 ~Add mint ice cubes to water bottles. ~Add lavender buds and lemon verbena leaf to lemon juice and freeze into cubes. Perfect way to keep lemonade cold without watering it down. ~Freeze lime juice and mint leaves for mojitos. ~Use in spa recipes that call for a specific herb water. They can be melted into hot liquids, and oils for recipes blends. Melt into bathtubs and facial steams to release the healing and fragrance of the herbs. ~Use in ice packs and compresses to add an extra healing touch of herbs while the coolness reduces inflammation. 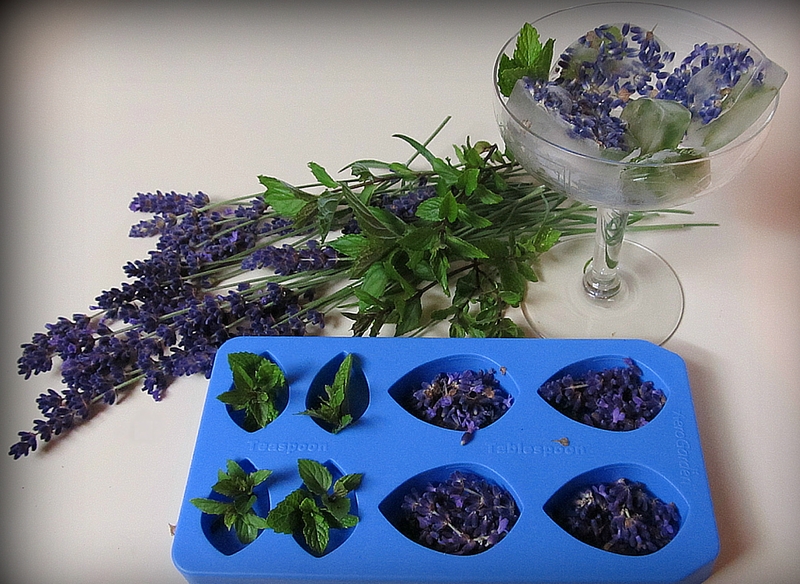 ~Melt lavender bud ice cubes on overheated skin to bring down body temperature.